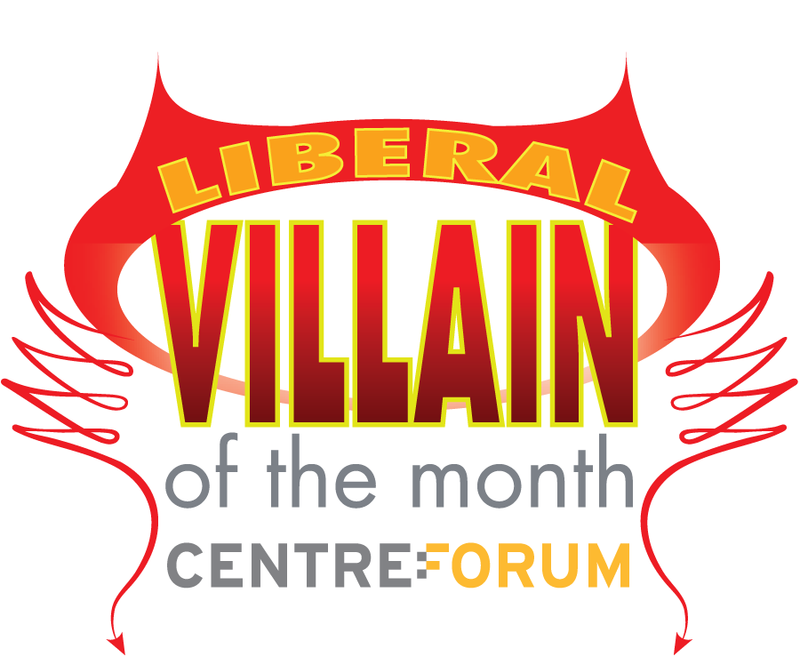 Welcome to the twelfth in our series — Liberal Hero of the Week — as chosen by Stephen Tall, Co-Editor of Liberal Democrat Voice, and Research Associate at CentreForum. The aim is simple enough: to showcase public figures who help promote the four liberal tenets identified in The Orange Book: economic, personal, political and social liberalism. We will be highlighting individuals regardless of their party affiliation, and indeed from beyond Westminster. If they stick up for liberalism then they’re in contention. Nominations are welcome via email or Twitter. Conservative chairman of the House of Commons Public Administration Committee. Reason: For his call to open up the honours system to be independent of political influence, celebrating the extraordinary efforts of ordinary people not those just doing their day job. I’ve long been a little conflicted about the existence of the honours system. The idea of the state elevating a chosen few, and marking them out through the awarding of a title which separates them from everyone else, can jar. However, that nagging concern has always been outweighed by this simple argument: a society which does not say thank you to those who offer extraordinary service to its citizens would be a very ungrateful one. Yet the UK’s current honours system, despite repeated attempts at reform, tends to divide the country as much as it unites us. Controversies continually flare-up on a spectrum of seriousness, whether it’s that all 43 Olympic medal winners should be eligible for ‘automatic gongs’ regardless of supposed sporting quotas, or the Campaign for ‘Sir’ Bruce Forsyth. In fairness, two reports in 2004 — one by a previous incarnation of the House of Commons Public Administration Committee, another by top civil servant Sir Hayden Phillips — have made the system more transparent than it was. There is now a UK honours system website, through which demystifying portal the current process is explained. There is even a downloadable nomination form for you to propose your own choice of honours recipients (mine’s an OBE, pleasethankyou). But despite these advances, opaqueness and suspicion remains. Yes, we know honours are awarded for ‘exceptional achievement and service’. But why do so many civil servants and politicians receive awards on appointment to, or retirement from, certain categories of job? Gongs should not be part of the remuneration package. And of course the allegations of ‘cash for honours’ saw Tony Blair become the first serving Prime Minister to be questioned by the police. Though unproven, the suspicion lingers that some quid pro quo favours were traded, and not just by the Labour party. We believe reform is needed in order to increase transparency and public confidence in the honours system. We believe that no-one should be honoured for simply “doing the day job”, no matter what that job is. Honours should be awarded only for exceptional service above and beyond the call of duty. This would result in a far higher proportion of honours being awarded to people who devote their time to the local community, instead of to politicians, civil servants, and celebrities. There should be no special privileges or quotas for groups of society or certain professions: instead the honours system should be fair and open to all. Welcome also is his proposal that ‘the criteria for forfeiture should be much clearer’. Though few will shed tears for ex-Sir Fred Goodwin, the former boss of RBS stripped of his knighthood by popular declaim for “bringing the honours system into disrepute”, the absence of any due process was deeply uncomfortable. It cannot be right for politicians to outsource the revoking of honours to the Daily Mail. The Committee has called for two new bodies to be established to put the honours system on a more trustworthy basis, beyond the reach of politicians: an independent Honours Commission and an independent Forfeiture Committee. Quite how that sits with the Coalition Government’s commitment to take an axe to Quangos is another matter, but it’s hard to see what alternative there can be that can regain public trust. One further suggestion that might help — following the Groucho Marx principle of belonging to clubs — why not ensure that the chairs of these two new Commissions are selected from the list of those public figures who’ve previously declined an honour? That truly would be heroic. Conservative MP for Harwich and North Essex. Reason: for dismissing any move to wealth taxes as the ‘politics of envy’. One of the most significant, liberal moves within the Lib Dems in recent years has been the return to the idea that taxing unearned wealth (along with negative externalities like pollution) is far preferable to taxing earned income. The process started under Ming Campbell’s leadership, and has been continued by Nick Clegg, who traded the reduction in the top higher-rate of tax from 50% to 45% at the last budget in return for increased stamp duty on multi-million pound homes and a new tax on companies buying property over £2m, as well as reduced income tax bills for the low-paid. The net effect was an increase in taxes paid by the wealthiest. Nick Clegg has now returned to the fray, calling for new (and as yet unidentified) wealth taxes. It’s likely that this time his trade-off will be reducing cuts to the welfare budget, rather than looking to reduce taxes on income. Given the unappetising choices facing the UK government in the current economic situation this may well be the right option. As importantly, it puts down a clear marker of the continuing need in the future to rebalance the taxation system, reducing income taxes and increasing wealth and pollution taxes. Interestingly this economically liberal pitch has resonance even with some deeply Conservative thinkers, such as Tim Montgomerie. Nick Clegg’s wealth taxes would inevitably create more hardship, unfairness and economic disruption than income taxes. … How much real world evidence needs to accumulate before politicians in the UK will stop stoking the politics of envy, as though there really was a hidden crock of gold at the end of the rainbow? 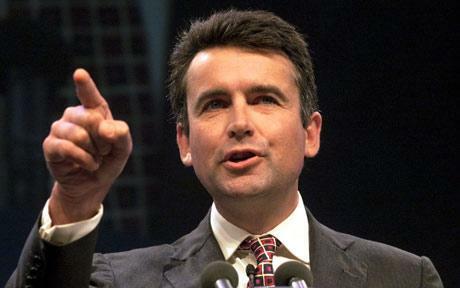 Both for indulging the cliche ‘politics of envy’ and for his knee-jerk rejection of wealth taxes being preferable to incomes taxes, Mr Jenkin fully deserves the accolade of this month’s ‘Liberal Villain’. * You can view our list of ‘Liberal Heroes of the Week’ (and occasional ‘Liberal Villains’) here.